"I swear, every time I come on here I find a book that'll never cross my path otherwise. :D And that's a good thing." Now having featured over 1000 books, Literary Flits - so named because I read so many books it seems like I flit from one to the next - is the home of Stephanie Jane book reviews. I post all my new reviews here interspersed with promotional Spotlight posts and previously published reviews transferred over. I suggest a book a day promoting a wide variety of literature from all corners of the world. 1: Already read my book of the day? Tap out your thoughts - and your own review link - in the Comments. I'd love to get your opinion! Or if the book is new to you, click through the affiliate links to buy a copy! All proceeds from book sales go towards continuing Literary Flits. 2: Do you have a book review or two you'd like to share? If so, I love to post Guest Reviews. Please scroll right down the page for more details of what to send and how to get in touch. "I was honored to have my collection of poems reviewed by Stephanie. I advise every author reading this to ask my dear steph for one of her QUALITY reviews. Such a beautiful and well-organised blog. Want me to promote and/or review your book? I love to promote most genres of writing, especially global writers, small presses and indie authors. Why not request a Spotlight Post for your book or literary crowdfunding campaign? A Spotlight Post includes synopsis, purchase links and author info, with social media promotion of the post. Spotlight posts are particularly effective in conjunction with a Giveaway which I can host for you or I can time your Spotlight to coincide with your own Goodreads / Amazon / other Giveaway. 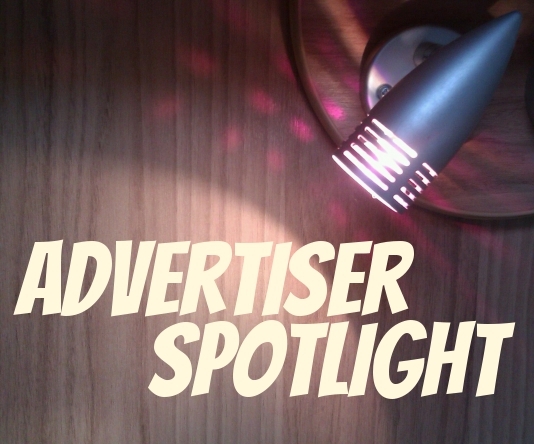 Spotlight posts are priced at £5 each (about $7 US) and payment needs to be made by PayPal prior to the blog post date. For £5 (for the blog post) plus an ebook copy, I can Read And Review your book. My best contact methods are to message via Goodreads, Facebook or Twitter. Please be aware that I get frequent requests and always have a reading backlog so am fussy about the submissions I accept! For those synopses that intrigue me, I usually require 4-6 weeks reading time. Finally, you could take advantage of my £20 a month Advertiser Spotlight and place your promotional advertisement at the top of the Literary Flits sidebar (where the Google ad is at the moment) for everyone to see. There's more information via this link. "I am so so happy to have found you for your constructive criticism for A Change Of Heart which helped the book become a whole lot better!" You'll notice up to ten of the following purchasing options for each book. All these are affiliate links so, should you buy your own book copy by clicking through, I would get a small percentage of the purchase price. Please? Thank you! Abebooks facilitates online sales from independent booksellers all over the world, thereby offering new and 'pre-loved' copies of most books that ever made it into print. If the new book sellers don't have a book, Abebooks probably does! Alibris is another facilitator website and is the largest independently owned and operated marketplace. In business since 1998, they work with independent booksellers across the world and are a good site to try for educational and literary books. Amazon I think you all will have heard of! The links go to the Amazon.com and the Amazon.co.uk sites respectively. Kobo is an excellent ebook retailer which offers thousands of titles from mainstream, niche and indie authors. Prices start from Free(!) and downloads are available in several formats for a variety of ereader devices. Smashwords specialise in self published indie authored ebooks and offer downloads in a variety of formats. Writing quality can be hit and miss, but there are gems to be found. Speedyhen are based in London and, I think, are the smallest of the new book sellers I link to. They offer free shipping within the UK and excellent customer service. The Book Depository have a huge selection of new book titles including lots of indie publishers which is great to see. They offer free shipping internationally so this one's for my worldwide readership. Waterstones is one of the biggest UK bookstore chains. They often feature author in-store promotions and you can have purchases sent to your local shop if receiving parcels is tricky. Wordery also offers free worldwide shipping and has a wide range of titles available including indie authored books. I like their 'traditional bookshop' ethos. 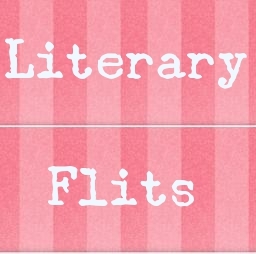 I am looking for guest written book reviews for Literary Flits. The books can be any genre (except adult erotica) and from any era and I am especially keen to feature indie books, small press publications and books whose authors are NOT British or American. I want to see what we're reading from the rest of the world! If you think you've got the perfect material to fulfil this request or if you have any questions, my best contact methods are to get in touch via Goodreads, Facebook or via Twitter. I'll want a few publishable lines about yourself and/or your blog and, of course, your URL to link back to if you have one. I'll also need the title and author name of the book you're reviewing. Your review can be any length from a couple of good paragraphs up to several hundred words. It doesn't have to be exclusive content, but does have to be your own words! You don't need to include a synopsis, but I would like to know why you did (or didn't) like the book and what particularly did (or didn't) work for you. Please try to avoid spoilers. Your rating should be out of 5 stars, conforming to the following: 5 = superb, 4 = very good, 3 = good, 2 = ok, but flawed, 1 = couldn't bring myself to finish it.